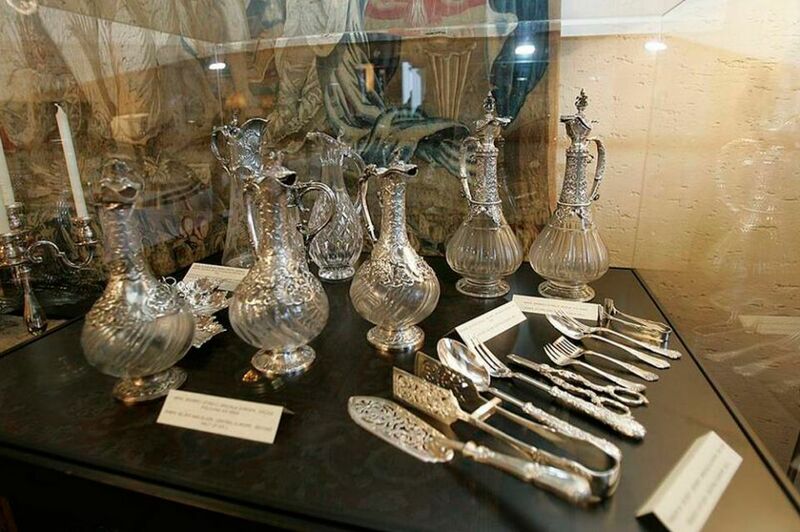 “Patina of the Royal Silver” exhibition, second of a series of exhibitions under the general title “Treasures of the Royal Compound”, was officially opened by Mr. Dragomir Acovic, Chairman of the Crown Council, and Mrs. Ljiljana Miletic Abramovic, acting director of the Museum of Applied Art in Belgrade, in front of distinguished historians, members of the diplomatic corps and media, at evening at the Royal Palace. 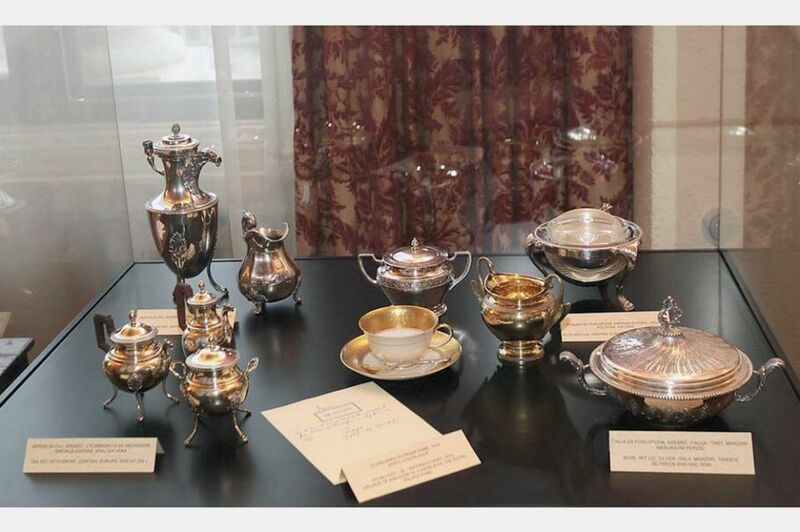 This exhibition for the first time introduces the public to a rare and exceptional cultural heritage of the Royal Palace’s silver collection. 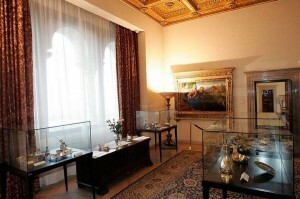 The Royal Art Collection was created almost a century. 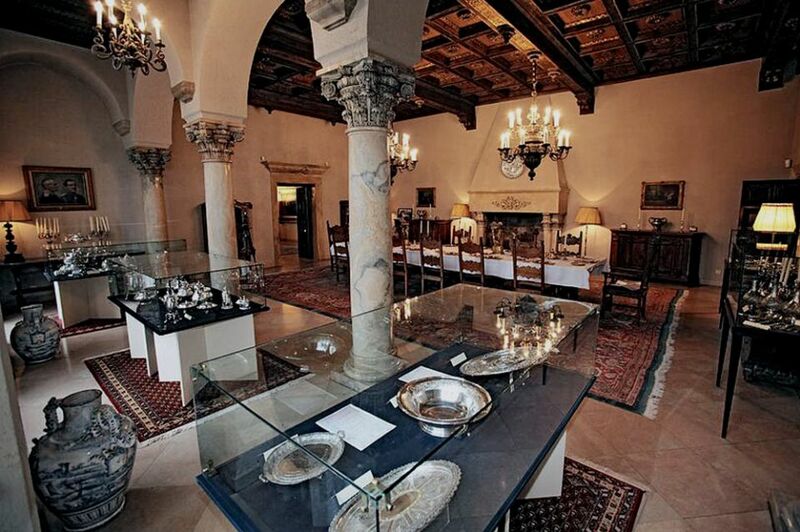 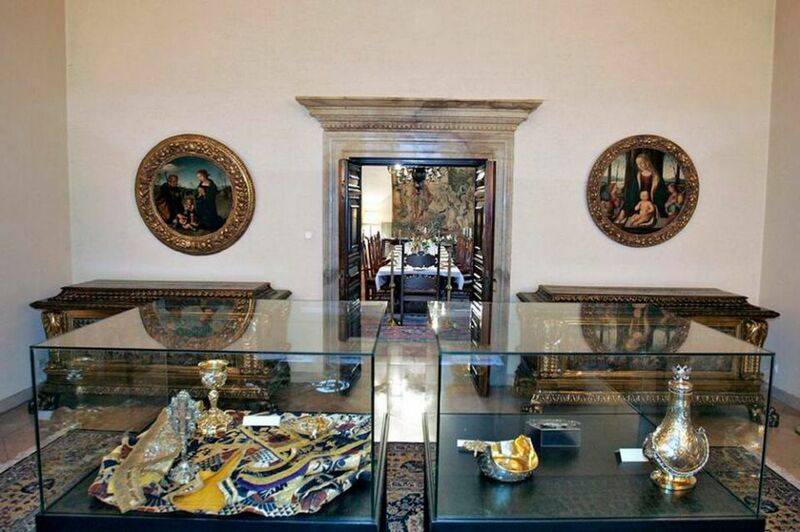 Very rich and unique, with items of unparalleled historic and artistic value, this collection was kept from the sight of public for a long time. 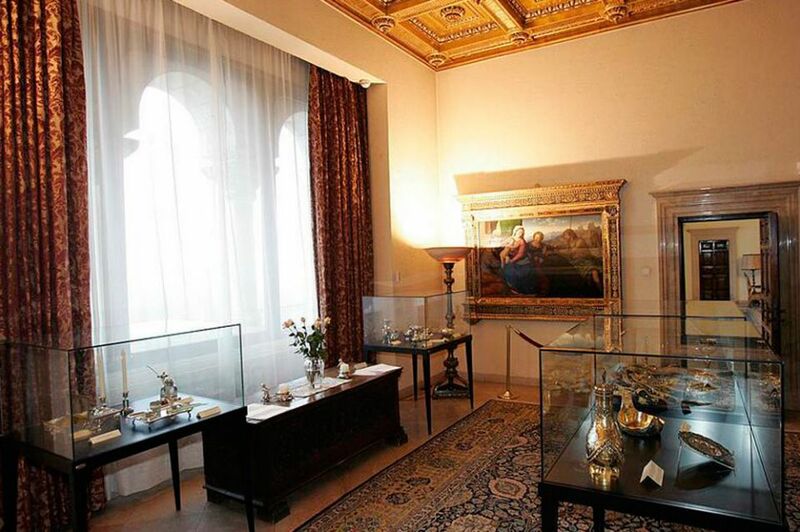 This is the main reason for organising these exhibitions, and to make the public aware of unique items of exquisite craftsmanship and extraordinary beauty. Items displayed are pieces of decorative and practical value, made of silver, silver with gilt, in combination with precious and semi – precious gems, ivory, crystal glass and other precious materials. 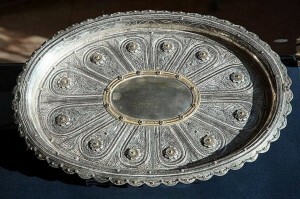 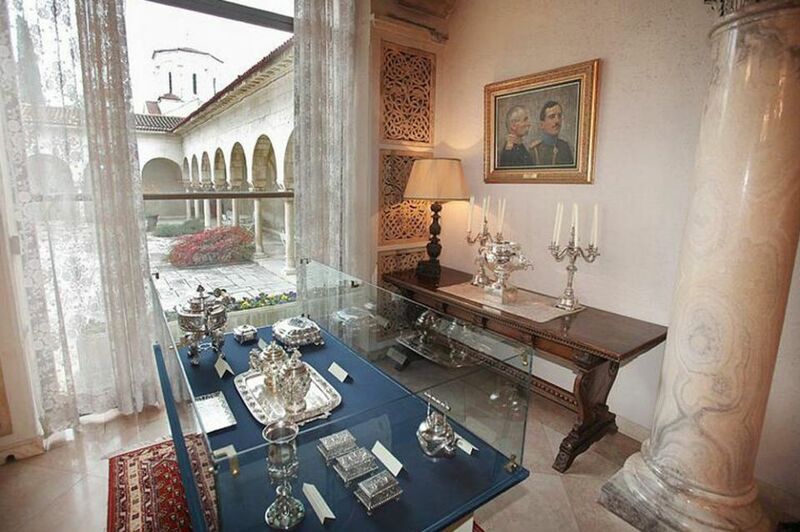 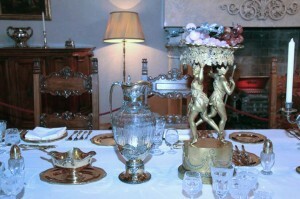 These items represented symbols of Royal dignity of the Karadjordjevic Royal Family. 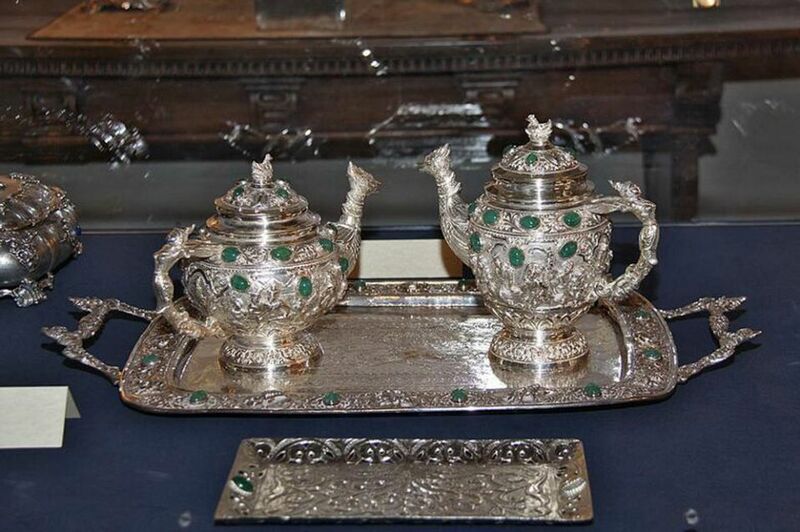 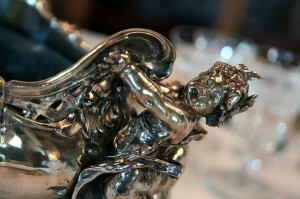 Especially interesting are silver tea sets, which were used by Her Majesty Queen Maria, grandmother of His Royal Highness Crown Prince Alexander, who organised tea sessions for noble ladies of that time on a regular basis. 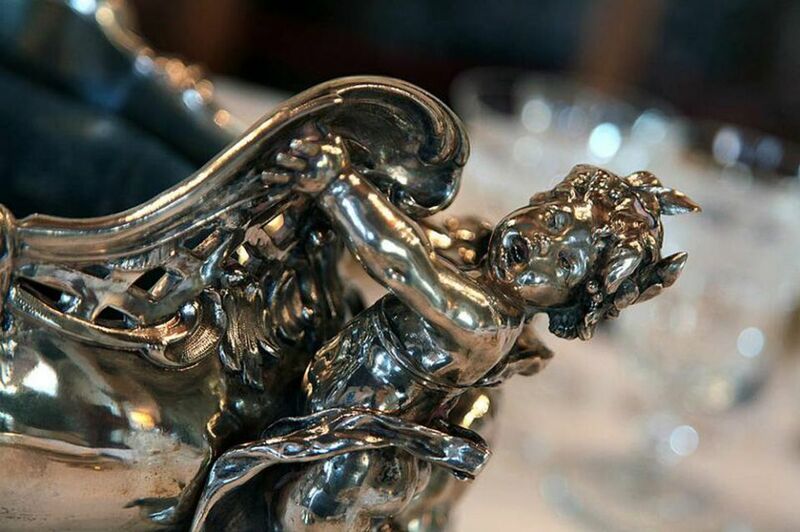 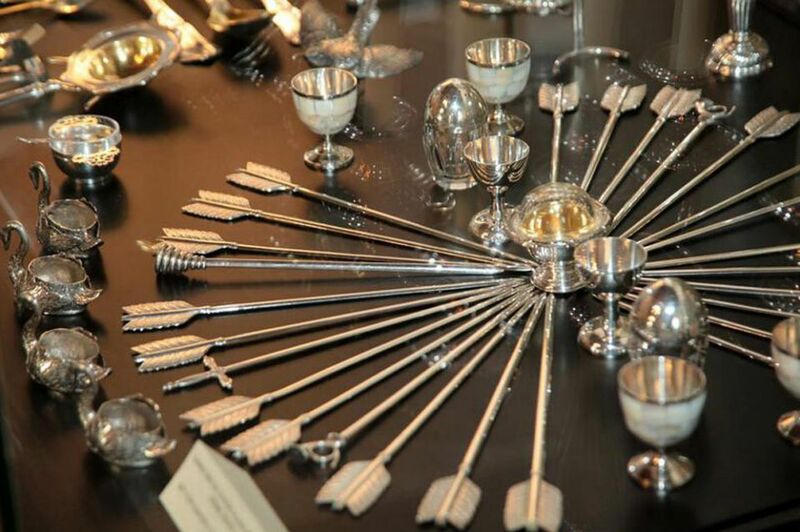 The Royal silver collection preserved exquisite works of famous silver workshops of Fabergé, Khlebnikov, Bragin, Aucoc, as well as English and French masters from middle and end of nineteenth century.